Justin serves as the Associate Director of Al Amana Center in Oman, building bridges between Muslims and Christians to work for the common good of all. Their unique educational approach allows for Christians “to bring their full faith in Jesus to the table of dialogue,” as the Director recently said. In the same way, people of others religions are also “given the space to share from deeply within their own traditions and scriptures.” They have found that this model of interfaith dialogue deepens Christians commitment to their own faith in Christ, while also creating meaningful relationships with non-Christians. It's not easy to walk through new doors. That's why everyone who does, receives a warm greeting by our Welcome Team. It's their job to make you feel at home...and they love doing it! Come as you are and wear whatever you like! Jeans or suits, slacks or overalls, T-shirts or button-downs: all are welcome. We believe Jesus when he said, "Don't worry about what you will wear." We're not worried. We don't want you to be either. Our service has three movements: 1) We approach God, 2) We experience God's Word, and 3) We respond to God. To learn more about a typical Sunday service visit our worship page. No. The offering is for those who call Heartland 'home'. As our guest, we simply hope that the worship service has been a gift to you. Is your service traditional or contemporary? Yes! We strive to worship God in a way that is true to who we are. Since we are truly an intergenerational community, this means worshiping in a way that taps into the hearts, minds, and spirits of all ages of people. Therefore, some elements of our worship are rooted in the Christian tradition: "passing the peace," singing the "Doxology," partaking of Communion weekly, and signing a hymn or two. Other elements of our worship give witness to the newness of God's work among us: contemporary statements of faith, relevant sermons, and newer songs played with a piano, a guitar, and a box drum. Do I have to believe to belong? Absolutely not. We especially welcome the curious, the doubting, the skeptical, and the broken. After all, we've all been there. And Jesus welcomed us. Brief info about children and worship here. We Need You, to make our new family directory complete! It's time to schedule your photography appointment! 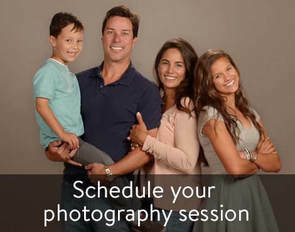 You can select and book your own time using our dedicated member website through Lifetouch. If you are unavailable for either session date, please contact the office for other possible photography locations or how to submit another photo for the directory. Each family receives a complimentary 8x10 photograph and a free, professionally printed directory for participating! You will have the opportunity to purchase additional photographs for yourself, family, and friends.